In was 12 the February, 1942 and Singapore was in the grip of a mighty Japanese invasion that would see hundreds of people scrambling onto the wharves to flee. Among those were 65 Australian Nurses serving their country through the last days of the fall of Singapore. They boarded a coastal freighter called the SS Vyner brooke but it was not meant to be as the doomed voyage was attacked by Japanese aircraft and sunk. A group of survivors including the 22 nurses eventually were washed up on Radji beach a remote beach off the coast of Singapore and due to their onerous plight voted to surrender to the Japanese rather than to starve to death. A Japanese patrol found the nurses but did not accept their surrender and divided them into three groups and the executions began. The Australian nurses were in the last group and died in a hail of bullets as they walked abreast into the sea. Miraculously, there was one survivor, Vivian Bullwinkel, who in spite of a bullet wound which actually passed right through her side, missing vital organs and feigning death she endured 13 days in the jungle before surrendering to another Japanese patrol. Vivian was re-united with the other surviving Vyner brooke nurses in a makeshift camp and these 'beyond' courageous women went on to experience the internment camps, starvation and disease over the next 3 and 1/2 years. Twenty four including Vivien made it home to their beloved Australia. 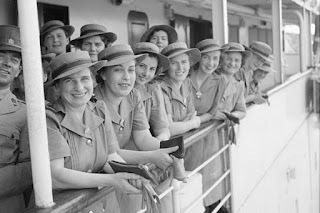 What a courageous, amazing and gutsy women these nurses were in the 2 World War, suffering so badly there in Singapore - not really all that far away from their homeland Australia. Their story touched my heart enormously when I read it and filled me with an overwhelming sense of pride to be an Australian - what fortitude - what bravery. Even while the SS Vyner Brooke was sinking these nurses were assisting the wounded and the dying. absolutely astounding! During the bombing raid Vivien recalled how many many passengers and crews were thrown into the water. 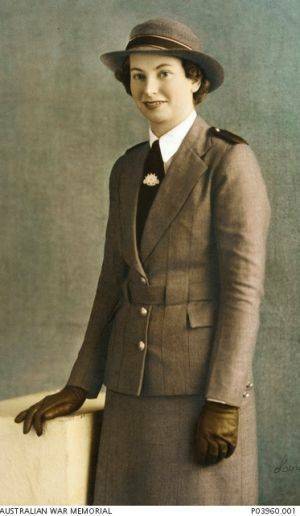 She continued "No sooner had the passengers hit the water than the enemy aircraft returned, firing into the water and causing utter chaos, devastation and torturous and lingering death to many"
Vivien eventually made it the shore of Radji Beach by holding on to the side of a lifeboat. Vivien had watched many of her colleagues swept away in make shift rafts never to be seen again, she had seen many of her friends brutally killed by machine gun fire and many others drowned horribly that fateful night. After her remarkable repatriation to Australia Vivien was awarded numerous awards for her contributions to nursing, only accepting them to keep the memory alive of her fallen comrades. I know it is hard to believe but after 50 years on from the massacre on Radji beach, Vivien returned with fellow nurses who were with her aboard the SS Vyner Brooke and unveiled a memorial on the beach to her friends and colleagues whose bodies were never recovered from the terrible massacre. To my mind Vivien was a real commander in chief - a woman destined to lead - a women strong, brave and courageous - always putting others ahead of her own needs - keeping alight encouragement and always building up never tearing down - a positive and confident young woman showing incentive and fortitude in one the most horrible and soul destroying places on earth. When I think of Vivien and her attributes I can't help but think of another young man who at only 33 years of age gave His all to save us - He was our very own Commander in Chief - our own Jesus Christ the Saviour of the world. That same Jesus is coming again one day - he will come in a twinkling of an eye and every person will see Him - not sure how but Hey! I truly believe what the Bible says and that every knee will bow and every tongue confess that Jesus is indeed the Lord the Saviour of the world. During that horrible and horrendous experience that Vivien and her nurses went through one message kept them going and that was "just hang on". Even though they were brutally treated - even though towards the end their skin was stretched over their skeletons and you could see every bone - even though they were all sickly and frail that message of "just hang on" rang true and clear. They did indeed hang on and were eventually rescued - we so need to 'hang on' through today's world. Every day it seems it is getting harder and harder to be a Christian. Every day more and more of the world is turning against our faith and our beliefs. Here is Australia we are certainly getting the message of hatred and enmity against Jesus and what he taught and stands for. My message to you is just to "hang on" we need to be true to Jesus and true to ourselves. We need to show the world out there that whatever they throw at us it will not dampen our wills and our love for the Lord who saved us. Jesus will come back - we do not know when but we can rest assured that He will one day and when that day comes we can claim the victory through Him. No matter what you have done or where you have been Jesus loves you with an amazing and constant love that can far outreach any human love here on earth. Come to Him without delay, ask his forgiveness and accept His free gift of eternal life. It certainly isn't going to be an easy ride but what Jesus does do is give you a deep down peace that can surpass anything you have ever experienced before. His very own Spirit will come and live inside of you giving you a joy and love for others that you never thought possible. Also your past is gone - gone and forgotten. You won't have to keep dragging it around behind you any more. Jesus died to take away that past with all of its twists and turns and guilt. So hang in there and stride out with Jesus. With Him by your side your life can change in the most miraculous ways. Good post Bruce. What remarkable women, and especially Vivien Bullwinkel. And a great analogy for those who eagerly await the coming of the Lord. As Jesus said in Matthew 10:22, "...you will be hated by all for my name's sake. 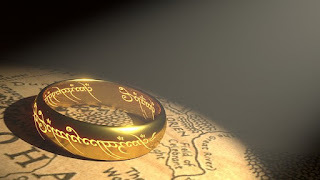 But he who endures to the end will be saved."